Rooms from $56.05 per night. Description This Atlanta, Georgia hotel has an outdoor pool, free internet access and non-smoking guest rooms. With free Wi-Fi free airport shuttle and a free breakfast non-smoking Econo Lodge Atlanta does the job if you're just looking to surf sleep dine and dash before your flight. 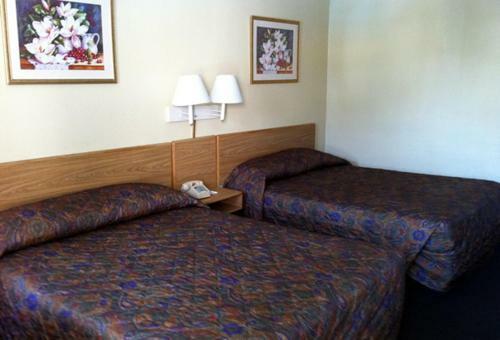 All 99 rooms at the non-smoking three-story Econo Lodge come with free Wi-Fi and cable TV with HBO. Select rooms also have coffeemakers and refrigerators. A free continental breakfast is served every morning. There's a business center on-site with fax and copy services as well as a seasonal outdoor pool. Take the free shuttle to Hartsfield-Jackson Atlanta International Airport from the lobby. Parking is free and ample enough to accommodate buses. Near I-85 off Exit 73 in Atlanta's College Park area Econo Lodge is a five-minute drive from Hartsfield-Jackson Atlanta International Airport. The hotel is also a 10-minute drive from downtown Atlanta and within 15 minutes of both Georgia State University and Georgia Institute of Technology. Add Econo Lodge Atlanta to your free online travel itinerary.